This entry was posted on May 16, 2011 at 11:45 am and is filed under Conservative Issues, health care, Hillary Clinton, Politics, socialism. You can follow any responses to this entry through the RSS 2.0 feed. You can skip to the end and leave a response. Pinging is currently not allowed. I could agree more . I can’t believe that he could be such a fool. Certainly someone I would not want to be in the White House doing business as usual which has the Goverment in trouble as a result. I’m from his home state and this doesn’t speak well. Gingrich is trying to walk it back, but it aint playing with me. 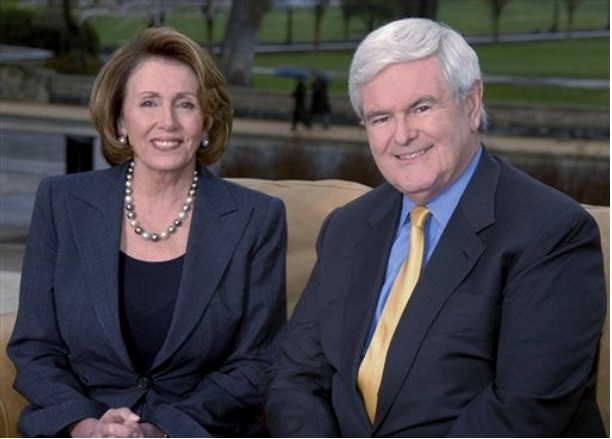 I could understand Gingrich giving an answer about the individual mandates. You could see Gingrich giving an incomplete answer, which he could just give a further explanation about. But the “right wing social engineering” thing was just total crap. It was utterly inexcusable. And that is NOT just a slip of the tongue. The only possible explanation for that is that he is willing to shoot the Republican Party and the conservative agenda in the legs in order to advance himself as a “moderate” candidate. Add to that Gingrich previously accomodating global warming, and he’s done for in my book.